Air pollution is extremely dangerous for the health of humans and other living beings. It is considered as one of the biggest factors responsible for haze and acid rain in the atmosphere. Also, air pollution is one of the prime reasons of many types of diseases such as cancer and other respiratory dysfunctions which prove deadly for humans and other living organisms. Air pollution is constantly harming the ozone layer giving rise to the problem of global warming. It is critically dangerous to the health of the organisms and the ecosystem. According to the World Health Organization, air pollution was the main reason for the death of 7 million people worldwide in 2014. Mostly, air pollution is caused by unwanted and harmful substances such as chemicals, dust, smoke emanating from the vehicles, suspended particles and other harmful gases in our environment. The increasing growth in the world population has led to over-exploitation of natural resources. Larger cities are becoming barren – devoid of vegetation and greenery – due to fast-paced industrialization. The population of these cities is increasing day by day; this has resulted in housing problems in cities. To solve this problem, people have built settlements (slums) where there is no proper arrangement of drainage, etc. Smoke from industries, and use of chemicals in agriculture have aggravated air pollution. There have been several terrible accidents in factories. The Bhopal Gas tragedy involving Union Carbide factory was a major accident of the past years, in which thousands of people had died, and those who were alive also had to bear the disastrous repercussions of the catastrophe. The growth in the means of traffic is increasing, whether it is number of engines, buses, aircraft, scooters etc. The smoke coming out of these vehicles is continuously getting into the atmosphere, thereby polluting the atmosphere. 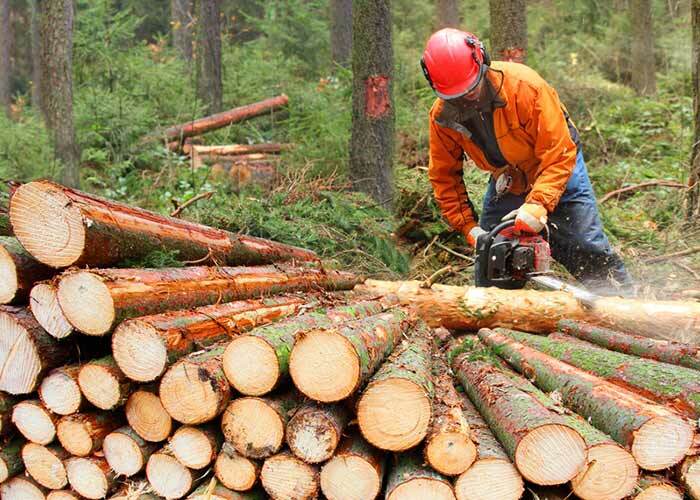 Deforestation has increased air pollution as the trees continually reduce pollution in the atmosphere. Plants absorb harmful pollution carbon dioxide for their food, and provide life-generating oxygen, but humans have indiscriminately cut them for residential and agricultural activities, and due to lack of green plants, there has been a decline in the natural process of purifying the atmosphere. Apart from this, nuclear particles from the nuclear test spread in the atmosphere which has a deadly effect on vegetation and animals. Smoke and carbon dioxide generated from fire in forests (Large amounts of smoke is produced by forest fires, which completely encircles the surrounding villages and cities and spread deadly pollution to humans and other living organisms). Methane gas emitted from decomposition substances in swamps. Bacteria and viruses generated from wastes, etc. Carbon dioxide free from pollen of flowers. Cosmic dust generated due to collision of comets, asteroids and meteors, etc with the Earth. Evaporation of organic compounds and natural radioactivity. Erosion of rocks through air. Humans are responsible for polluting the air through fossil fuels, agricultural activities, gases and smoke emanating from industries and vehicles, apart from mining operations and indoor pollution. Air pollution is mainly caused by combustion of fossil fuels such as petroleum substances, coal, wood, dry grass burning and construction activities. 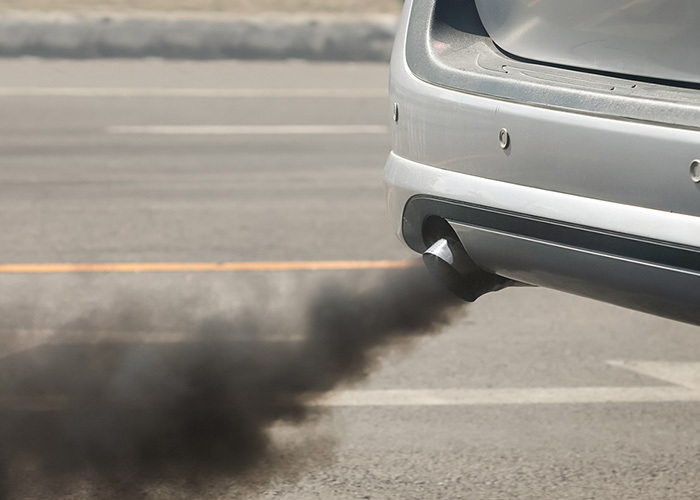 Motor vehicles produce excessive toxic gases such as carbon monoxide (CO) and hydrocarbons (HC) and nitrogen oxides (NO), which lead to air pollution. Constructions of residential and commercial activities as well as road construction activities, etc. are also responsible for air pollution. Air pollution caused by humans can be divided into the following processes. Generally, air pollution is of two types – indoor and outdoor air pollution. Energy is needed from cooking to construction of bricks, cement etc. The energy used for domestic operations is obtained from coal, wood, cooking gas, kerosene etc. The combustion of these fuels generates carbon dioxide, carbon monoxide, sulphur dioxide etc and incomplete combustion of fuels produces many types of hydrocarbons and cyclic compounds. This type of combustion has two types of effects in the atmosphere. On one hand, these harmful gases pollute the air and on the other hand the amount of oxygen present in the air reduces, which is dangerous for life. Energy is also required in the operation of vehicles and machines etc. This energy is obtained by combustion of various types of fuels. Among the outdoor causes of pollution, petrol or diesel are used as fuel for combustion in buses, cars, trucks, motorcycles, scooters, diesel, rails etc. There is a huge amount of black smoke coming out from them, which pollutes the air. The smoke that comes out of diesel vehicles contains hydrocarbons, nitrogen and sulphur oxide and micro-carbon compounds. Carbon monoxide and lead are present in gas fired vehicles. Lead is an air pollutant material. According to an estimate, a motor vehicle spends the amount of oxygen in one minute which is equivalent to what 1135 people spend in breathing. Nitrogen oxides and nitrogen dioxide also arise from combustion of diesel and petrol in vehicles, which produces chemical smog by hydrocarbons in the sunlight. This smog is very dangerous for humans. In 1952, the city of London was surrounded by smog for five days, causing 4,000 people to die and millions of people who had become victims of cardiovascular disease and bronchitis. As per an estimate, vehicles emit 60 tonnes of particulate matter, 630 tonnes of sulphur dioxide, 270 tonnes of nitrogen oxide, 2040 tonnes of carbon dioxide per day in India. In most of India’s thermal power plants, coal is used as a fuel, which burns carbon dioxide, smoke and some other gases. Indian coal has 25 to 40 percent fly ash compared to coal in other countries and the quantity of sulphur is less than one percent, due to which a 200 MW Indian power plant throws about 50 tonnes of sulphur dioxide and more than 50 tonnes of soot. The ash that is produced on burning of coal, in the form of wastes, is dumped outside. This ash flies through the air and pollutes the atmosphere. There are different factors responsible for spreading air pollution in cities and rural areas. The biggest source of pollution in cities is polluted smoke emanating from vehicles and industrial establishments. Carbon monoxide emanating from air conditioners and vehicles is one of the major air pollutants in the cities. It is a poisonous, colourless gas, which is formed through burning fossil fuels such as coal, petroleum and natural gas. Other sources of air pollution in the cities include dust and dirt produced by construction industry and the factories. Using chemicals for domestic cleaning and painting purposes also contribute to polluting indoor environment in the houses with inadequate ventilation. Already indoor air pollution is fast-spreading in the cities. Although mostly urban factors are responsible for air pollution, but rural areas are also contributing to air pollution. Tractors being used in the villages for agriculture purposes are spreading air pollution and then dust flying in the field during farming is also playing a major role in polluting the air. The reason for the pollution caused by volcanic eruptions is the volcanic ash produced on the surface of the earth and the large quantity of lava. Both natural and human causes have made the situation worst as far as air pollution is concerned. Emissions from manufacturing industries are a major factor responsible for spreading air pollution. There are many harmful gas and solid particles in the smoke coming from the factories which enter the atmosphere and spread air pollution. Due to the continuous mixing of nitrogen, sulphur, carbon monoxide and carbon dioxide gases and other chemical waste in the air, air quality is getting worse everywhere. With a large amount of smoke coming from vehicles, air pollution is spreading huge amounts of pollutants worldwide. The effects of air pollution due to vehicles can be clearly seen in every city. In vehicles, combustion of petroleum and other fossil fuels, resulting in toxic gases such as carbon dioxide and carbon monoxide release and pollute the air. Transport is an important part of our life which we cannot ignore. Running of cars, heavy trucks, trains, water vessels and aircraft necessitate combustion of fossil fuels, which emits large amounts of polluted fumes. Carbon monoxide, hydrocarbons and solid particles present in the smoke emitting from the vehicles are all dangerous air pollutants. Coal and other fossil fuels are used extensively to run power plants. 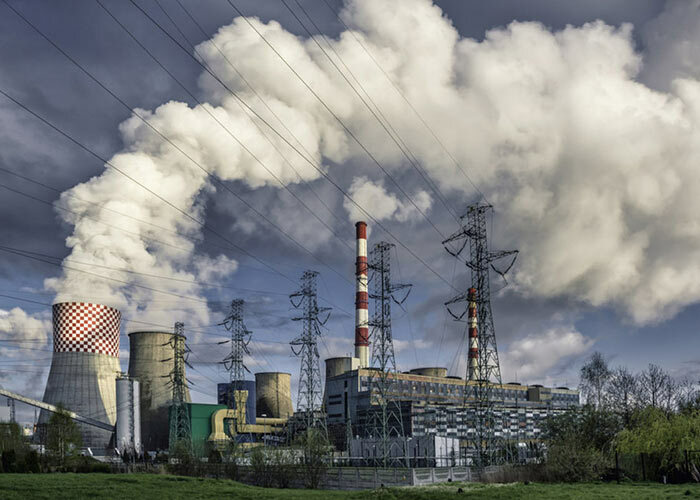 Due to the combustion of fossil fuels for generating electricity in these plants, there is a large scale production of various pollutants such as sulphur dioxide, carbon dioxide and nitrogen oxides that pollute the air. In the manufacturing plants, fossil fuels continue to be emitted by long chimneys. In this smoke, carbon monoxide, biological compounds and various chemical gases are found in the air and spread air pollution. The petroleum refinery industry also emits large amounts of hydrocarbons in the air, which is a dangerous pollutant. Activities such as continuous drilling, blasting, etc. are being carried out to remove ores and coal from various metals from the womb. In addition to these activities, transportation is also used for this purpose. Apart from methane, carbon monoxide, sulphur dioxide etc., mites, dust particles also pollute the air. To increase the yield of crops, farmers use ammonia-based fertilizer, which is a harmful air pollutant. Apart from this, farmers also use many toxic insecticides in the fields to keep their crops safe. These insecticides emit many unwanted chemicals in the atmosphere, causing air pollution. Indoor air pollution is spread by many chemicals such as leads and paints used by humans in cleaning and coal, wood, cooking gas, oats, kerosene etc in cooking. Chemicals are used in various functions at home or offices and where there is less ventilation, they can prove to be deadly. The solvents used in making polishing and spray paints on furniture are mostly flying hydrocarbons. When the furniture is polished or painted, then these hydrocarbons fly into the air. The isotopes used to generate atomic bombs and atomic electricity are temporary. At the time of the explosion, they spread far and wide in the atmosphere and later fall down on the earth as incubators, which leave their deadly effects. The effect of the atom bombs dropped on Hiroshima and Nagasaki remained there for a long time. India has a tradition of removing the dead animal skin. People carry dead animals from the settlements and take out the skins and leave the rest in the open. 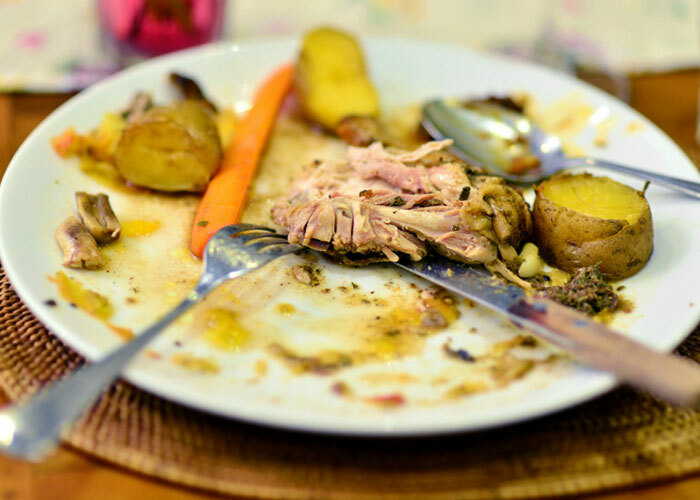 When these dead bodies rot, excessive foul smell emerges which causes air pollution. The region’s air is polluted by no regular cleaning of public and private toilets. People often throw garbage in the street or out of the drains in their houses, which spread bad odour and the same also develops due to poor drainage facilities, which causes virus of various diseases and affects human health. Ozone Gas: Ozone is both good and bad. Harmful ozone gas is found in the lower part or near ground level of our atmosphere which causes asthma and other respiratory disorders. This gas is generated upon chemical reaction of pollutants emitted by vehicles, power plants, industrial boilers, refineries, chemical plants, and other sources in the presence of sunlight. But ozone layer at higher altitudes, located 6-30 miles from the surface of the biosphere, protects us from ultraviolet radiation. Sulphur Dioxide gas: Combustion of fossil fuels results in sulphur dioxide gas which is highly toxic and it is also responsible for acid rain. Nitrogen oxide gas: Nitrogen dioxide gas also has significant contribution in producing acid rain. Carbon monoxide gas: This poisonous gas, which is primarily emitted by the automobiles, is a dangerous air pollutant. Apart from the smoke coming out of the vehicles, carbon monoxide emissions are emitted by air conditioners, fridges and heaters inside the house. Particulate matter (PM): These pollutants, the sum of all solid and liquid particles suspended in air contained produce respiratory related problems by entering our lungs in the form of smoke of vehicles and factories. The best way to control air pollution is to prevent air pollution factors. By regular checking of air quality, we get detailed information about a particular location of air pollutants and we can try to prevent them. The factors of air pollution can be largely controlled by the development and use of green energy. That is why governments around the world are focusing on the development of green energy. The use of solar and wind power has also proved to be effective in preventing air pollution. They pollute the air less than conventional energy sources. We should use more and more public transport modes. If we do all this, then the number of cars on the road will be reduced and air pollution can be controlled to a great extent. It is a bitter truth that many fossil fuels are burned to generate power, which causes large amounts of air pollution. Therefore, we should use fossil fuels intelligently and focus on the development and expansion of hydroelectric projects to reduce the quantity of contamination. We need to develop a tendency to recycle and reuse things. Bulk pollution is spread by the manufacturing industry. If we recycle and reuse items like plastic bags, clothes, paper and bottle, then it can be helpful in reducing air pollution, as heavy pollution occurs due to combustion of fossil fuels in the production of any new item. India’s most polluted cities are Delhi, Ahmedabad, Mumbai, Chennai, Kanpur etc. The concentration of air dust particles of Delhi has been pegged at 700 microgram/cubic meter, which is the highest in comparison to other metros of the country. In Ahmedabad, there are mills of cotton which produce cotton dust. Apart from this, there are smoke clouds there. Most of the industrial units of Mumbai are located in the Chamber-Trombay region. Here the concentration of dust particles in the atmosphere is 238 microgram/cubic cm. Kanpur has several laboratories, textile mills, chemicals and pharmaceutical making factories. According to a survey, compared to the clean air areas of the city, a child’s length has been found to be 4 cm less and weight 3 kg less in polluted areas. Air pollution is not a problem that cannot be resolved. Many cities of the world have shown how air pollution can be controlled. If we are really serious about air pollution, then we have to take some stern steps. These steps will be almost exactly as England, Singapore and China have taken. In fact, according to the orders of the National Green Tribunal (NGT), there is a provision of prohibition of running any 15-year-old motor vehicles, but the vehicle owners and the transport agencies hardly follow this ban. By virtue of being an emerging and developing country, the eyes of the whole world are towards India today and we are expected to play a leading role in preventing air pollution, which is a contributory factor towards global warming. In addition to the rise in the Earth’s temperature, weather change is a matter of concern all over the world these days. Despite the progress in medical science, the number of people who have died by air pollution has reached 8 million per year in present time. If we cannot take proper measures to control air pollution in time, we can only imagine the frightening and tragic dimensions of the situation in the times to come.